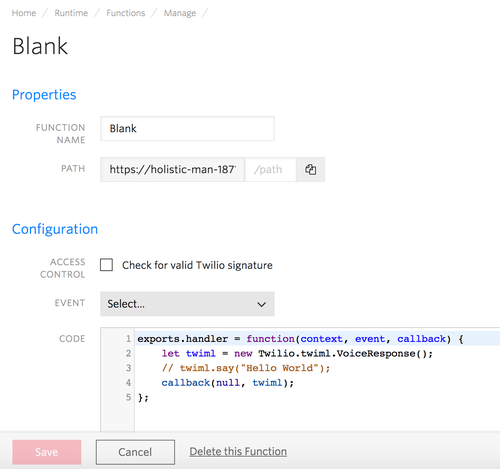 You don't need a special Twilio SDK or library to call Twilio Functions from your mobile app - your function will respond to a normal HTTP call. We'll use Google's Volley HTTP Networking library with this example, but you can use other HTTP libraries for Java or Android if you would like. 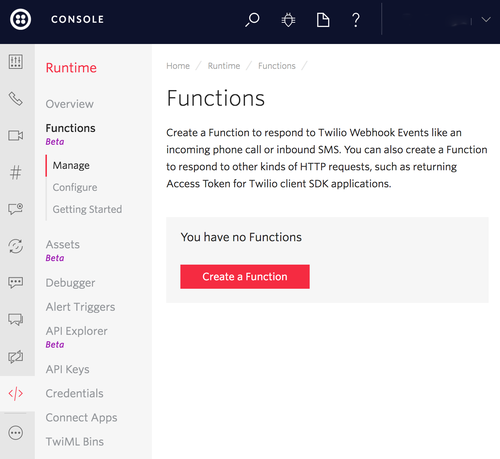 In this guide, we'll show you how to set up a simple Twilio Function, call it from a web browser, and then call that function from an Android application. Our function will return a joke as a string. You could extend it to make it choose a random joke from a list, or by category. We'll keep it simple, and just return a hard coded string. We are going to use Google's open source Volley library to call our Twilio Function. Volley is relatively easy to understand, and provides built-in request classes for retrieving strings, JSON objects, and JSON Arrays. If you are using Android Studio, be sure to Sync your gradle file after this edit. Don't forget to also put the INTERNET permission request into your AndroidManifest.xml file as well, or you will get an exception when you make an HTTP request. The Volley StringRequest constructor takes the HTTP method used (GET in our case), the url to retrieve, and two listeners - one for a successful response, and one if there is an error. 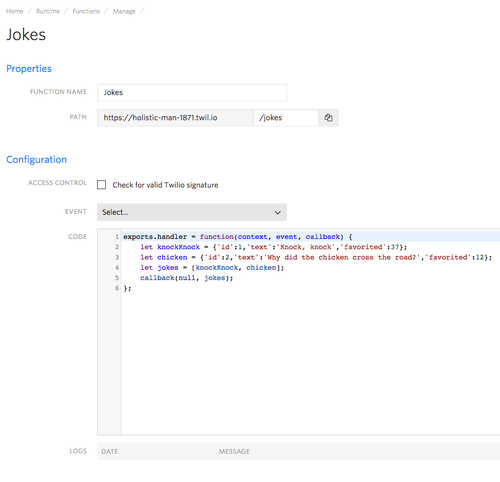 The onResponse and onErrorResponse methods will be on the main (UI) thread, so you can modify the user interface. In our case, we are just going to log the responses to the console. 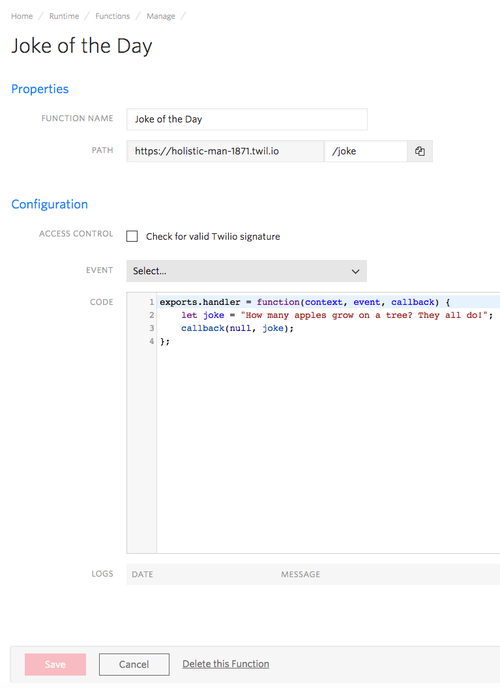 From Android, we call this Twilio Function the same way that we did our first Twilio Function (don't forget to change the path to /jokes). We can use Volley's JsonArrayRequest object in a similar manner to how we used StringRequest before.